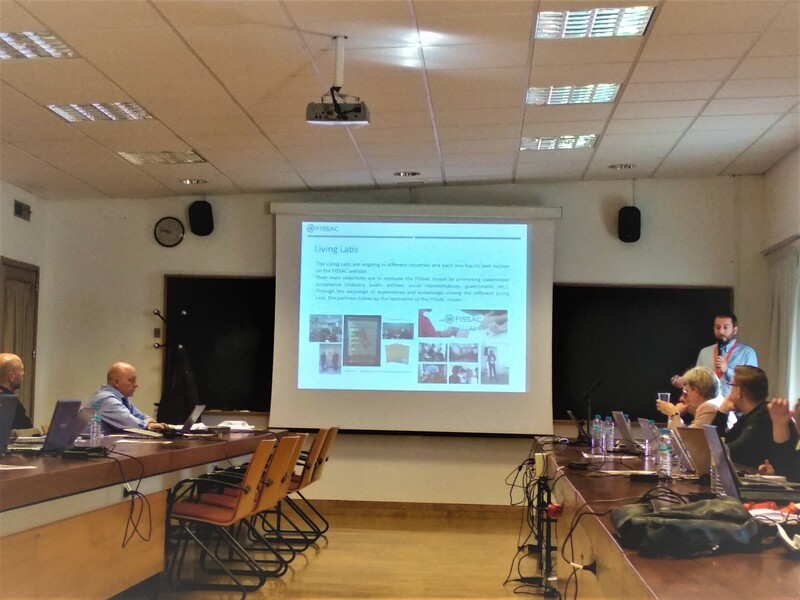 ACCIONA and Fundación Agustín de Betancourt presented the FISSAC project during the General Assembly Meeting of the European H2020 LORCENIS project on the 22nd March 2019 in Madrid, Spain. The meeting took place in The Institute of Construction Sciences Eduardo Torroja (IETcc), a Center of the Spanish Superior Council of Scientific Research (CSIC), belonging to the Area of Science and Technology of Materials. Its fundamental function is to carry out scientific research and technological developments in the field of construction, its materials, and the benefits associated with the approaches pursued. The main goal of the LORCENIS project is to develop long lasting reinforced concrete for energy infrastructures with lifetime extended up to a 100% under extreme operating conditions. ACCIONA, Fundación Agustín de Betancourt, RISE and CSIC are project partners in both projects. The meeting was an opportunity to disseminate FISSAC’s results and innovations and to exchange experiences among the partners of this other H2020 project. The main common research areas of both projects were the innovations regarding concrete.